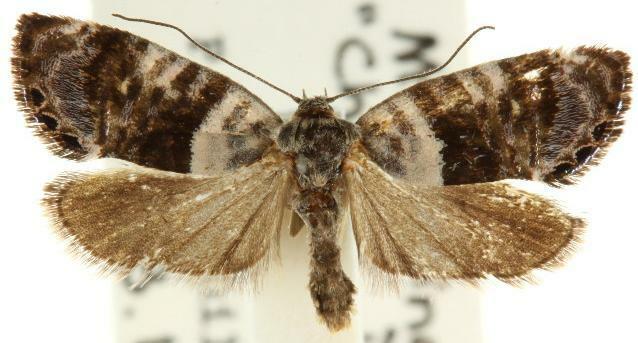 This adult moth has dark forewings, each with a white area aaround the base, some white marks along the costa, and three white-edged black spots on the margin. The hindwings are grey-brown. The wingspan is about 1.2 cms. Part 30 (1864), p. 998, No. 1.